Spread thumbnails are located in the Album Inspector on the right. To activate this view, click on any grey area in your Main Window. 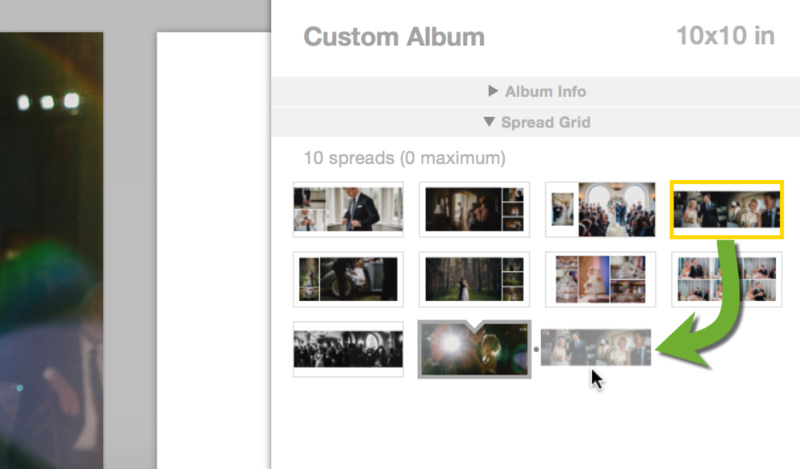 Once the Album Inspector is activated, click and drag thumbnails under the Spread Grid tab to reorder the spreads. Another way to reorder spreads is to click on the Spread Bar (the top gray part of the spread) and drag left or right.